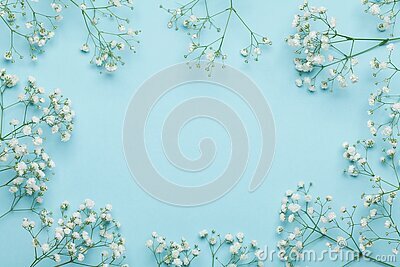 Wedding flower frame on blue background from above. Beautiful floral pattern. Flat lay.